What does Austria National Visa lets you do? The Austria national visa commonly referred as visa D is intended for people planning to reside in Austria for over 90 days, however not exceeding 180 days as a student, tourist or to visit relatives or friends. Austrian national visa D is also for the people, who are not either the citizens of EU or EFTA and wish to engage in employment applicable for short term within six months. People holding this visa can stay for a maximum duration of 90 days in the 6 months period in the other nations of Schengen area. 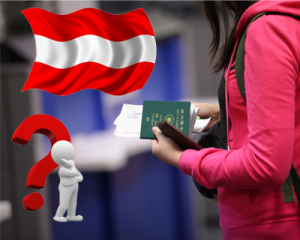 What does an Austria National Visa D Lets You Do? Visa D allows an individual to get employed within clearly stated set of conditions, for example: entertainer or an artist on engagement for short term in Austria. It is not a work permit that allows an individual to engage in an employment that he or she wishes. Consulate has to be provided with all the required documents and the other required authorizations required if not the visa will not be given. Individually willing to file their applications for Austria national visa have to ensure that he or she has to apply for a Austria residence permit to go to Austria before filing a visa application. The processing of the applications under Austrian national visa could take maximum of 15 calendar days. Get more details with the assistance of our MoreVisas executive @ Enquiry Form, and you may follow us @ Facebook, Twitter and Google+.